Archaeology Live! Summer 2014. Week 1. The waiting is finally over! Toby, Arran and Gary have wrapped up work on numerous other commercial excavations and watching briefs and work has commenced on All Saints, North Street. Week one has seen Archaeology Live! 2014 off to a flying start, welcoming trainees from as far away as Australia, Canada, New Zealand, Spain, the USA and Barnsley to the new trench. As ever, it’s been great to see a mix of new and familiar faces and we couldn’t have asked for a nicer group of trainees. 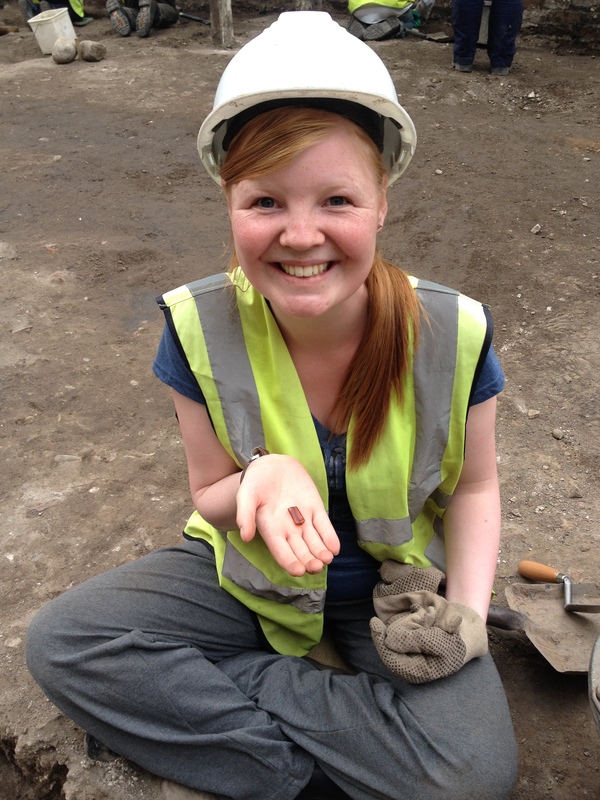 Week one has been a busy one, with lots of finds and features being excavated. 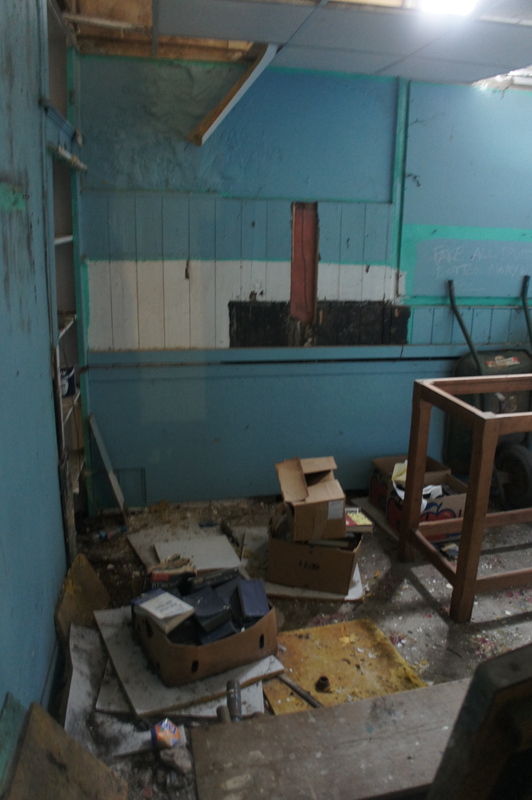 Arran’s team, or Team That End, began the week by investigating the south wall of the former boxing club. Katie, Jade and Janet take a breather from cleaning their construction backfill. 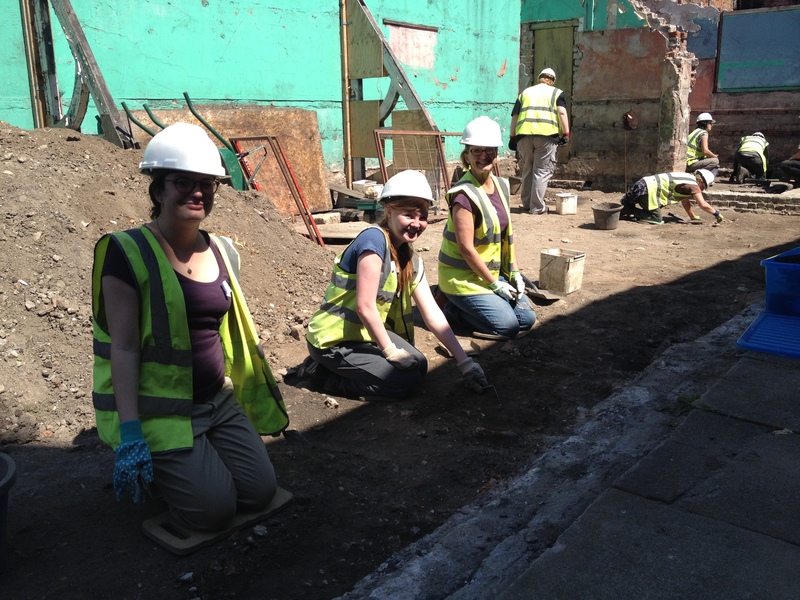 In glorious sunshine, new trainees Katie, Jade and Janet have spent the week recording and excavating the wall’s construction cut. 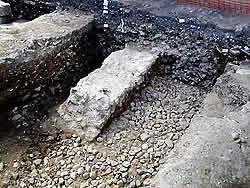 In doing so, they have revealed the wall to have sizeable foundations, laid on a bed of concrete. The finds from the construction backfill were varied in date and type. Detritus dating to the construction of the building included a rather lovely pipe mouth-piece. You can almost picture the builder’s annoyance at breaking his favourite pipe! Jade and her freshly discovered pipe fragment. As the 1860s foundation trench was cut through intact archaeology, finds from earlier deposits have found their way into its backfill. 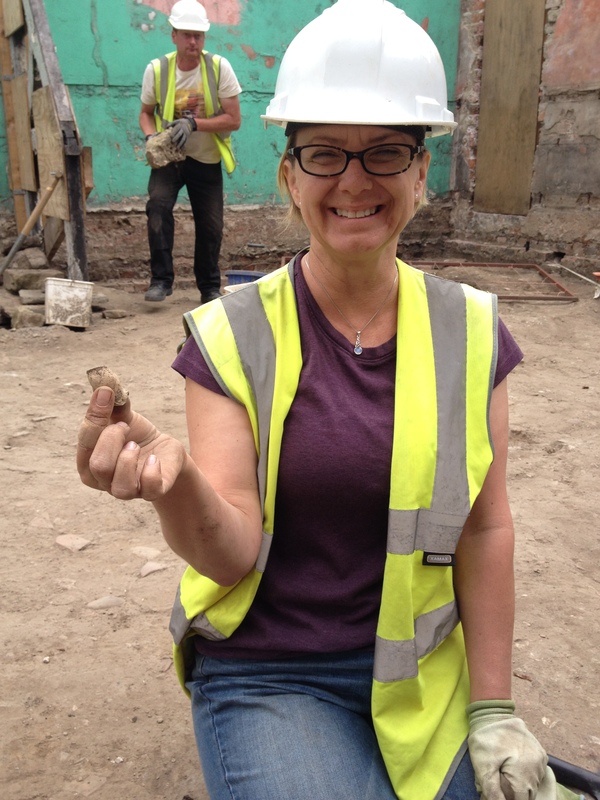 Janet was delighted to unearth an 18th century clay pipe bowl. Smoking seems to have been a bit of a theme over the centuries! Janet showing off her clay pipe bowl. 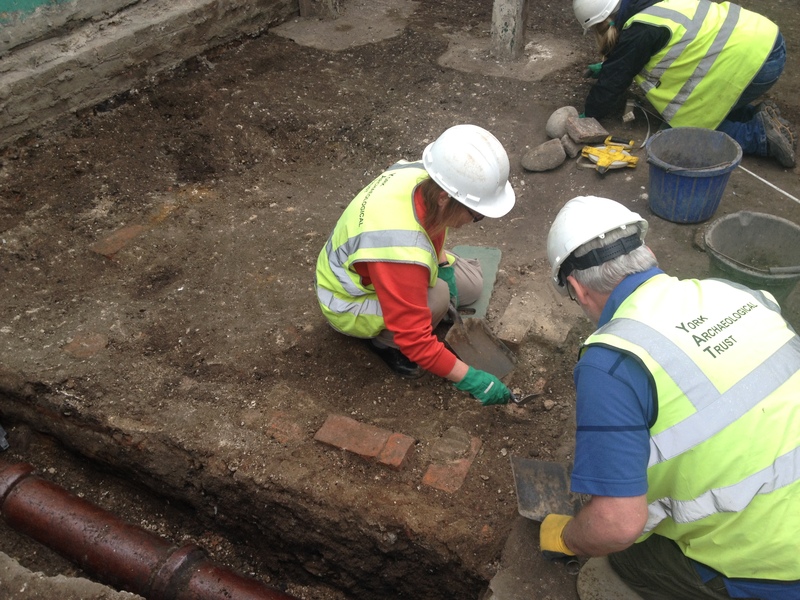 At the northern end of the trench, returning trainees Rob and Yvonne were looking at features within a yard space that pre-dates the boxing club. 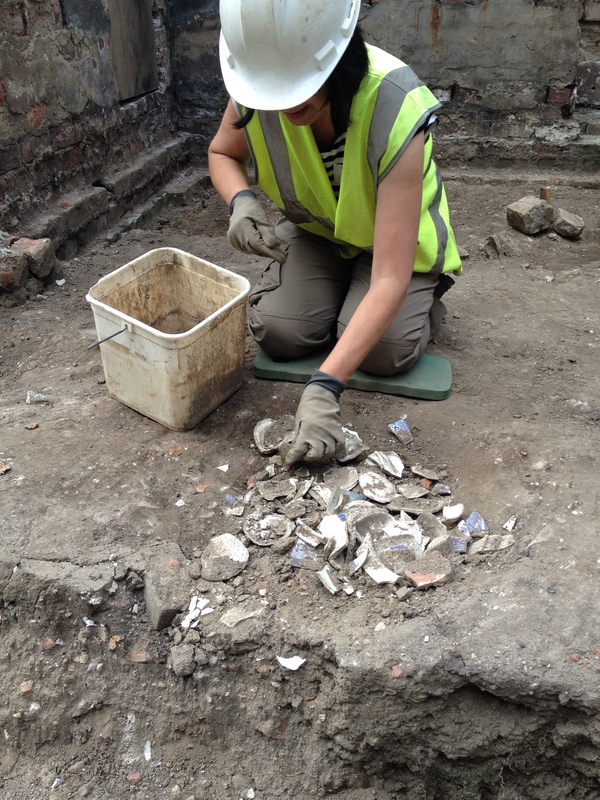 Yvonne tackled a pit that was packed full of pottery, two full finds tubs in fact! The ceramics were mainly 19th century in date, with some earlier medieval examples. A high occurrence of oyster shell makes this likely to be a pit dug to dispose of domestic refuse. Nearby, Rob spent the week looking at a sequence of rather enigmatic cut features. Again dating to the 19th century, it appears that this area has been peppered with the pits and interweaving tips and dumps that you would expect from a well used yard space. 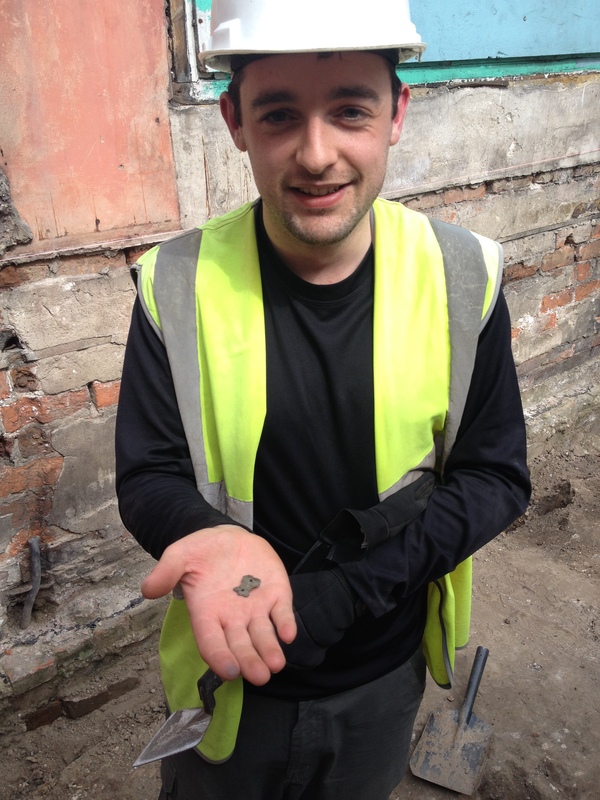 A finds highlight was a small decorative copper alloy object that is possibly post-medieval in date. We’ll look forward to seeing what our small finds experts think of this object. Elsewhere in Arran’s area, Gina and Geoff recorded and excavated a number of interesting features. After exposing the footings of the boxing club’s north wall, they turned their attention to a small pit containing a mix of animal bone and disarticulated human bone. It appears that a medieval charnel pit, probably within the churchyard of All Saints has been disturbed at some point, and the upcast remains re-deposited within this pit. The remains of a number of individuals were identified, varying from juvenile to elderly. One tooth was found to have a large abscess, which would have been very painful indeed. Any disarticulated human remains discovered during the excavation will not be removed from the church compound and will eventually be re-interred. Intact burials, if encountered, will be left in-situ. 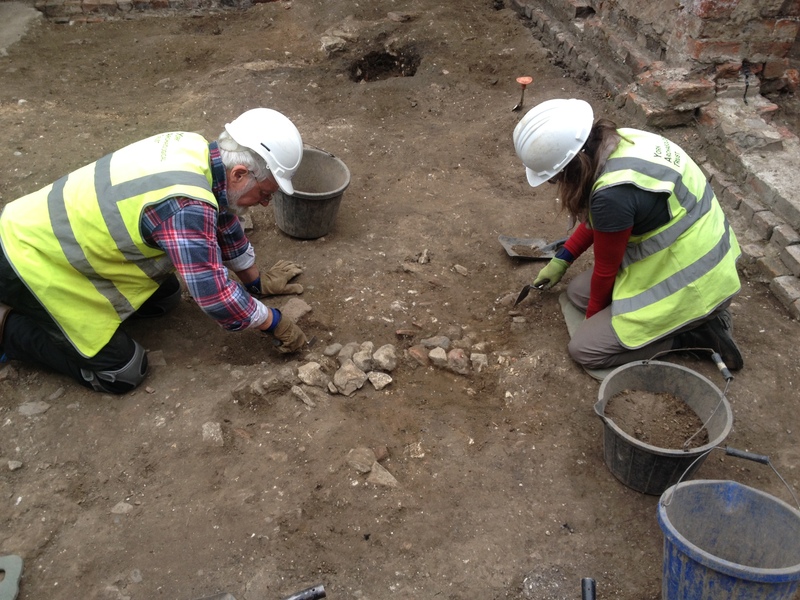 At the end of the week, Gina and Geoff began work on a truncated cobble and stone footing. A number of linear features are beginning to appear in this area. Could we be finding evidence for earlier buildings? We’ll find out as the weeks pass. Gina and Geoff cleaning up a truncated footing/surface fragment. Toby’s area, or ‘this end’ had an equally busy first week. During the spring excavations, the team exposed a network of ceramic drains. With work on these complete, this week saw a lot of work on the boxing club wall construction levels. Marlene and Bri did a great job of recording the construction cuts of the building’s south-west corner before beginning to pick apart a heavily modified set of drains. This area is proving to be extremely complicated, but the diligent recording work has made the archaeology start to make sense. Bri, Gus and Marlene hard at work picking apart their difficult sequence. Sammy, Virginia, Barry and Jan also had an eventful week, working on a number of features. 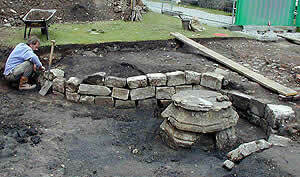 More wall construction cuts have now been cleaned, recorded and excavated. At points the area was rather busy as the team worked out the boxing club’s construction sequence. All hands on deck in ‘this end’! Later in the week, Toby’s team began to work on new areas, removing a number of trample deposits. Tantalisingly, elements of a brick building pre-dating the boxing club are beginning to emerge. Could this be part of the post-medieval rectory that once stood in this vicinity? Hopefully week two will bring some answers. Early brick walls beginning to appear. 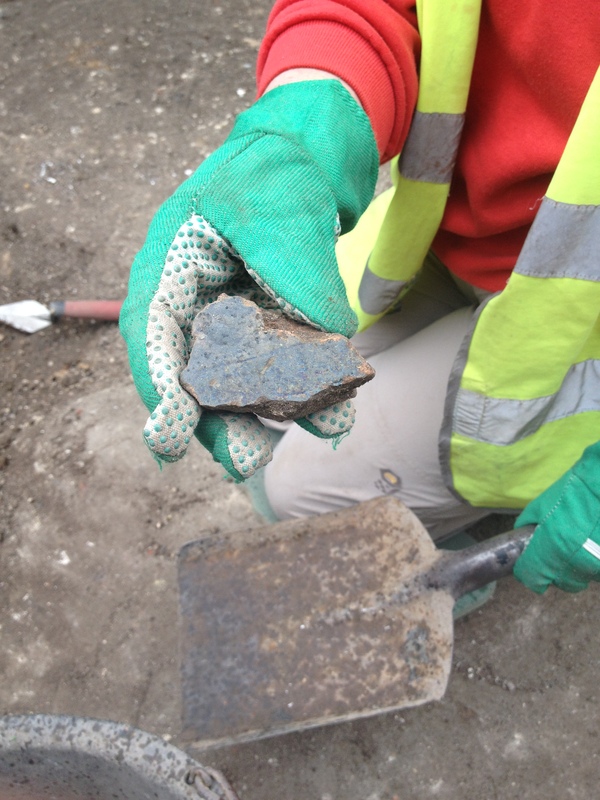 A finds highlight for Jan was a fragment of high status glazed floor tile that may once have been part of the fabric of the church. As All Saints has been altered countless times over the centuries, the deposits within our trench may shed new light on the evolution of the church building. As well as working in the trench, the trainees have done a number of specialist sessions at YAT’s Aldwark headquarters. These involved an introduction to ceramics, a tour of our conservation facilities and a seminar on identifying and processing small finds. On top of this, the trainees have also been working with Gary in the churchyard, helping him to run the finds processing element of the excavation. This involves finds washing, cataloguing and bagging and provides an opportunity to practice new skills in finds identification. Archaeology Live! placement Tess has been on hand to share her knowledge of bone, pointing out methods of species identification alongside how to spot evidence of age and illness. On Friday, Gary led the team through a seminar on building stratigraphic matrices, the diagrams we use to relate each excavated context to each other in the order they occurred. 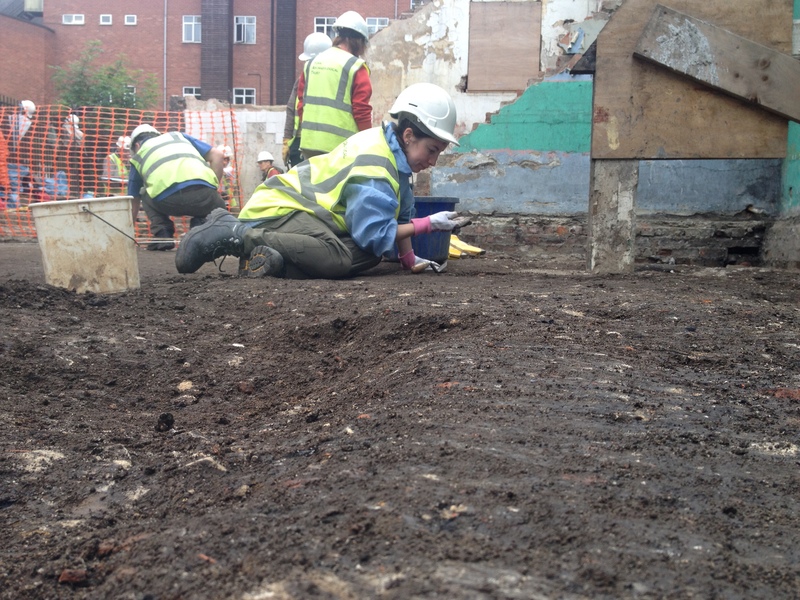 Working on complex, urban archaeology means that our trainees are dealing with difficult sequences. A good knowledge of stratigraphy allows us to keep on top of this and really get to grips with interpreting the story we are uncovering. Gary in animated form explaining the art of building stratigraphic matrices. 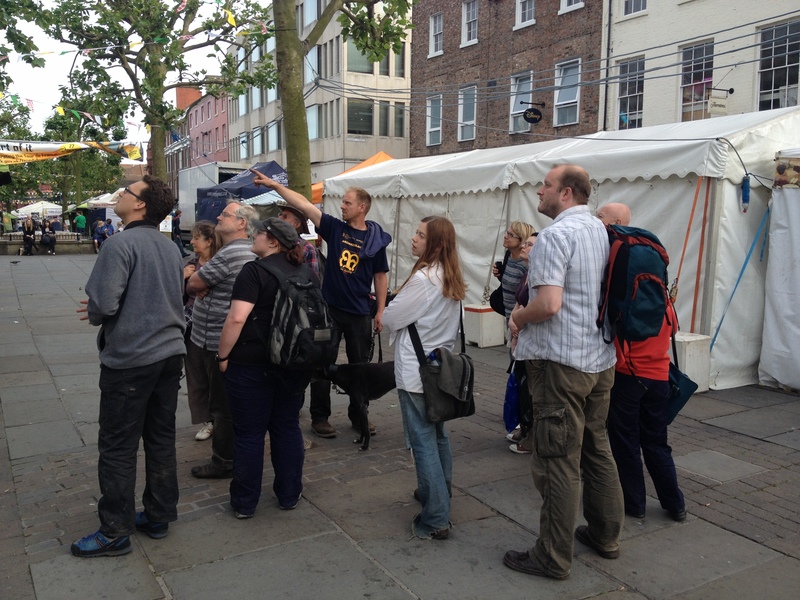 Thursday evening saw Toby lead the team on an archaeological tour of York. This week, he focused on how elements of the Roman city have been preserved in the fabric of the modern town. 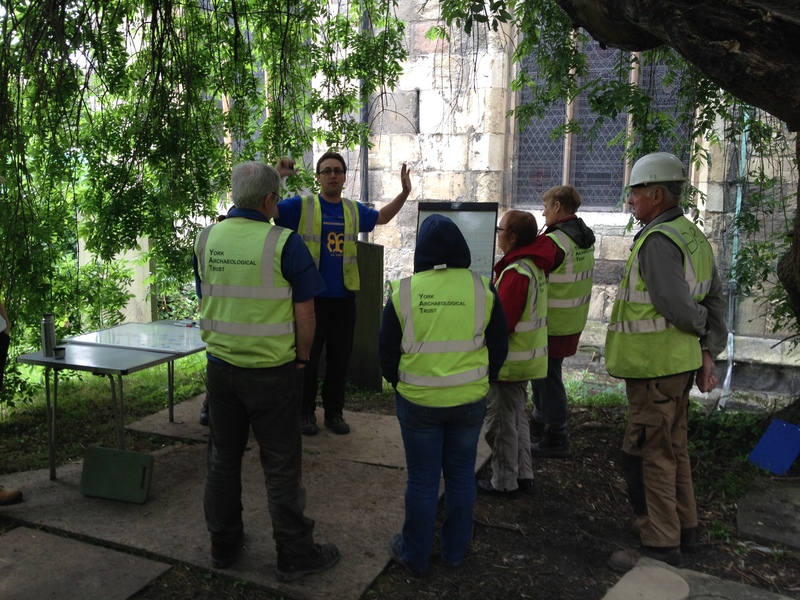 The team were fascinated to hear about how the archaeological remains beneath their feet have continued to influence York’s development. Toby pointing out the continued effects of the Roman fortress walls on present day structures. A number of taster students joined the team for one and two day introductions to archaeology. It’s always surprising how much can be fitted into a day and the tasters did a great job of trying their hands at new techniques. The excavation received a visit from a Council of British Archaeology (CBA) delegation, who enjoyed a tour of the site led by Toby. It’s always a pleasure to share our findings and we will be scheduling a public open day for later in the summer. Toby explaining the project to a CBA group. Toby lovingly watering his beloved Planty. Big thanks must go out to our fantastic team of trainees. They’ve made the site a really fun place to be and worked hard to really bring the dig along. Our team of placements, Tess, Gus, Craig and Andy have also been a pleasure to work with. It’s looking like Archaeology Live! 2014 will be a season to remember! Oh, and cheers to Planty! Back in October 2012, the Archaeology Live! team and All Saints church warden Robert Richards met up to plan an excavation in the grounds of the church. With a rich history and a central location close to the River Ouse, the site was clearly brimming with archaeological potential. 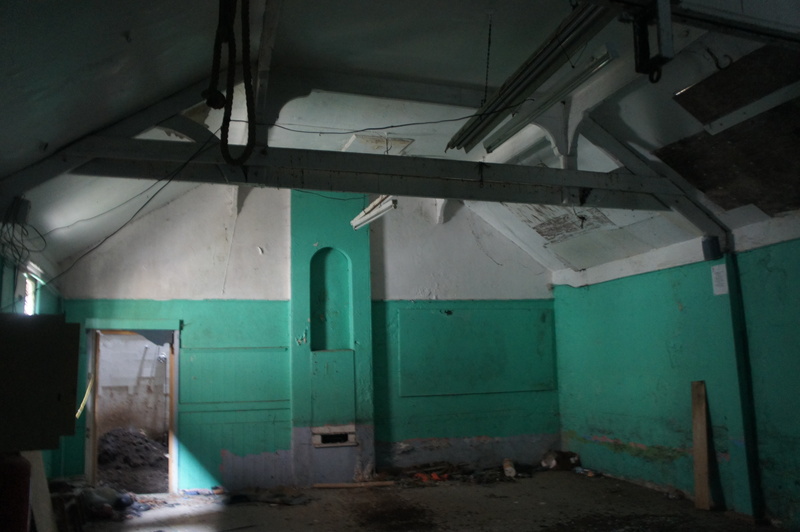 There was of course one minor obstacle, a derelict 19th century boxing club. 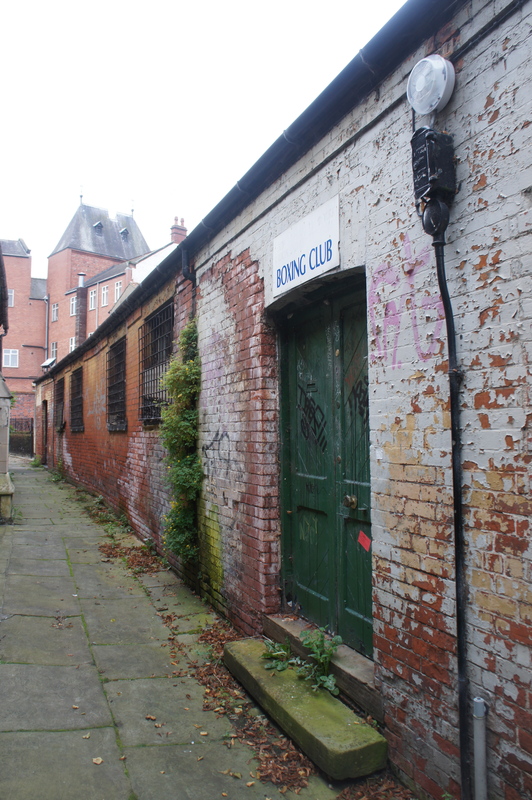 The boxing club before demolition, October 2012. The boxing club entrance, October 2012. Built in the 1860s, the boxing club was originally a mortuary chapel, later serving as a Sunday school among other uses. Abandoned for over a decade, the building was in very poor repair and populated only by pigeons. A 20th century addition of a skin of engineering brick along the building’s south face had caused the walls to become irreparably damp, leaving the church with no choice but to schedule the building for demolition (after proper archaeological survey of course). This did however provide opportunity, with the site being a prime spot for re-development. The archaeology of the site was not a total mystery, as a previous archaeological evaluation by FAS had uncovered evidence of 18th/19th century floor surfaces immediately overlying medieval refuse pits. Clearly, a good deal of excavation would need to be carried out in advance of any future building work. As Archaeology Live! 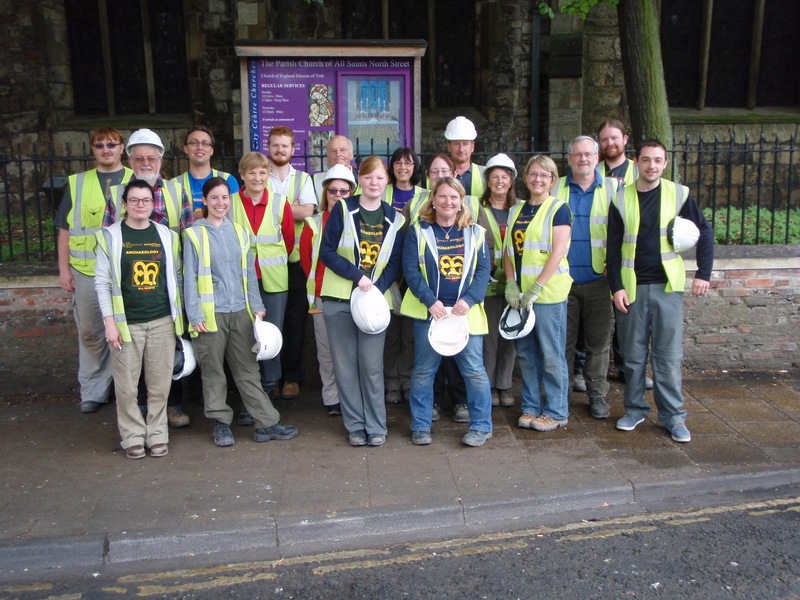 is an entirely trainee-funded entity, this provided a mutually beneficial opportunity for both All Saints and York Archaeological Trust and it was agreed that the site would play host to the 2014 season. The two week spring excavation in April and the May training weekend have proved that All Saints is a fantastic location for a training excavation, with the church providing a chance to study upstanding remains as well as subterranean archaeology. It is known that a post-medieval rectory with a medieval predecessor have occupied parts of the site, with other areas being used as yards in the 19th century. 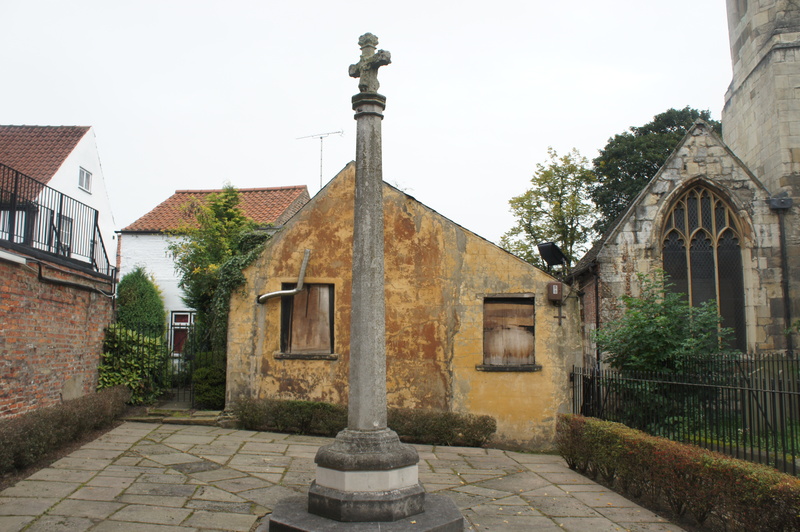 Before this, very little is known about the history of this small corner of York. As the weeks pass, the Archaeology Live! trainees will peel away the layers of history and tell the story of this fascinating site. The north end of the boxing club interior, or ‘that end’ as it is now known. With the 2014 summer season almost upon us, it seems like a good time to take a look back at the sites we have excavated in previous years. As a charity, a main aim of York Archaeological Trust’s work is to promote public engagement with the past, allowing people the opportunity to do more than view a site from behind a fence and there is no better way to do this than getting people in trenches making discoveries of their own. The archaeology of York is an amazing source of potential new knowledge and has to be dealt with in a careful and thorough manner, with this in mind the Archaeology Live! training dig was born. The excavation work and subsequent analysis and publication that make up each season of Archaeology Live! is entirely funded by the trainees. In essence, the project has been ‘crowdfunding’ since long before the term was coined. 14th century stained glass. 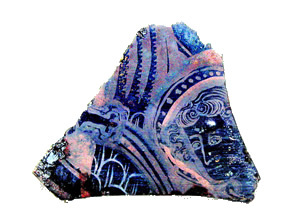 One of the first finds recovered from the site. Not a bad start! The site chosen for the inaugural season had an excellent archaeological pedigree. The excavation was located in the west corner of the Roman legionary fortress of Eboracum, bounded on two sides by surviving fortress walls. The area continued to serve a defensive function throughout the Anglian and Viking periods and became the site of St. Leonard’s hospital in the medieval period. The Victorian era saw the site used as an archaeological garden, housing finds from the Yorkshire Philosophical Society before again resuming a defensive purpose with the construction of a Second World War air raid shelter. 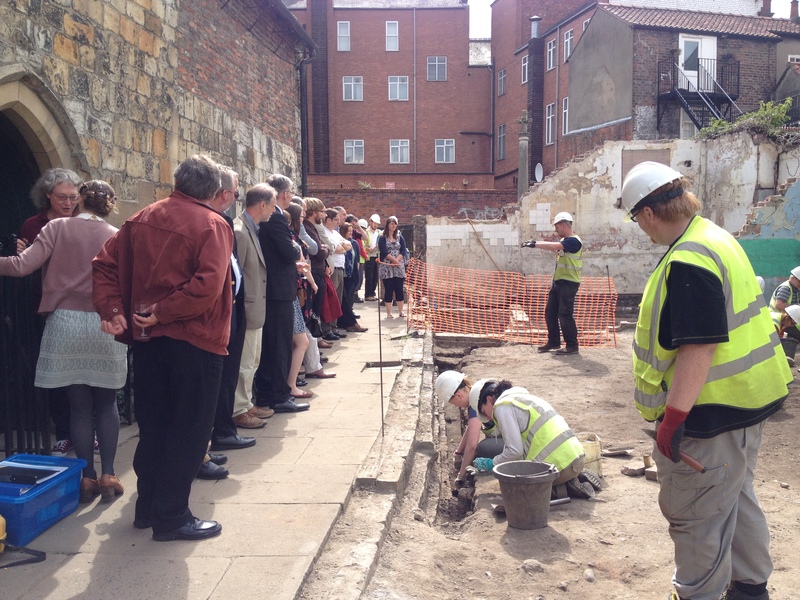 On Wednesday 13 June, the site was formally opened by the Lord Mayor of York, Councillor Irene Waudby and work began. The official opening of the site attracted a great deal of press attention. 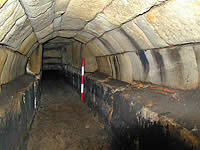 Three trenches were excavated during the 2001 season, all uncovering a diverse range of fascinating finds and features. In fact, a total of 600 individual contexts were recorded and excavated over the 13 week dig! As is typical of York, deposits were uncovered representing an unbroken sequence of activity covering two millennia. A short blog post isn’t sufficient to detail the full findings of the 2001 dig, but here are a few highlights. 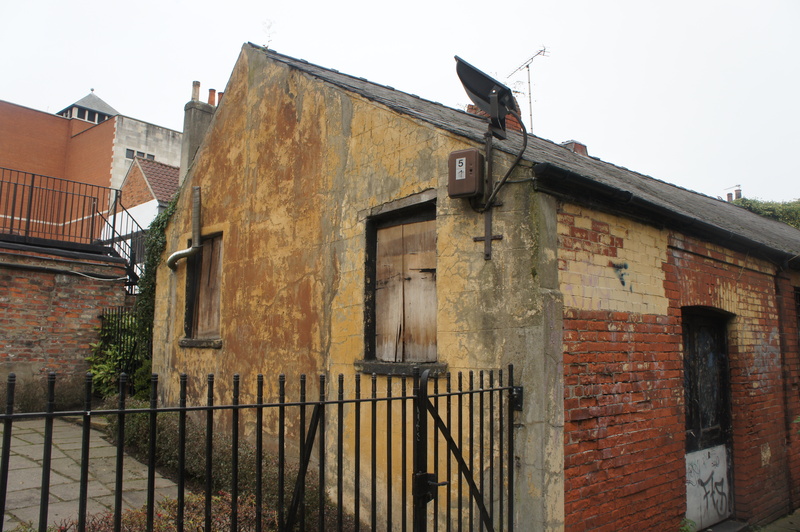 The World War II air raid shelter proved to be an evocative reminder of a dark time in York’s past. 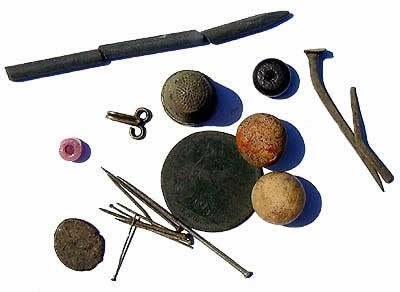 A number of personal items were recovered, including coins, pins, marbles and beads. Finds from the air raid shelter. 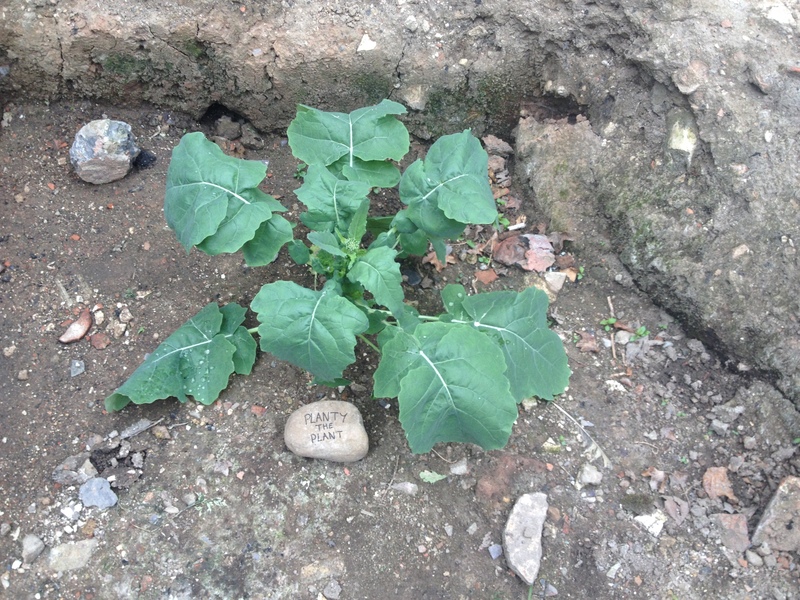 A curious collection of archaeological features were found to be ornately laid as part of the Yorkshire Philosophical Society’s archaeological garden. A large column base proved to be one of the more impressive artefacts on display. Re-used archaeological materials were displayed in the Yorkshire Philosophical Society’s garden. 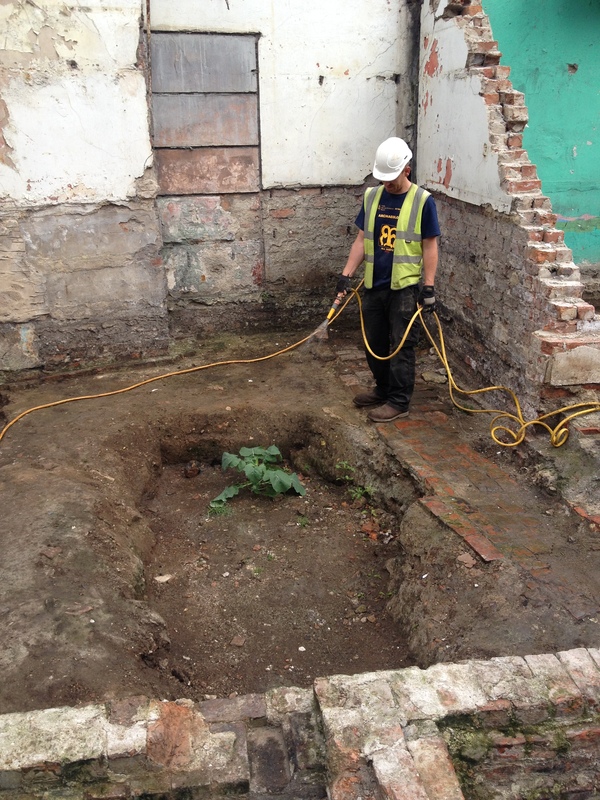 The dig took place in the infirmary area of the medieval St Leonard’s Hospital. This was founded as St Peter’s Hospital in 936 and transferred to its present site in the 11th century. The hospital, one of the largest in medieval England, once supported 225 beds. In the 14th century it maintained up to 18 clergy, 16 female servants, 30 choristers, 10 private boarders and 140–240 poor sick people. This gives some idea of the range of religious, spiritual, medical, social and charitable roles undertaken by a medieval hospital. Parts of the hospital can still be seen, including a vaulted entrance passage, an undercroft to the infirmary and a chapel, all of 13th century date. Other remains of this once vast hospital survive inside the nearby Theatre Royal. An unanticipated discovery was an impressive medieval stone lined drain. 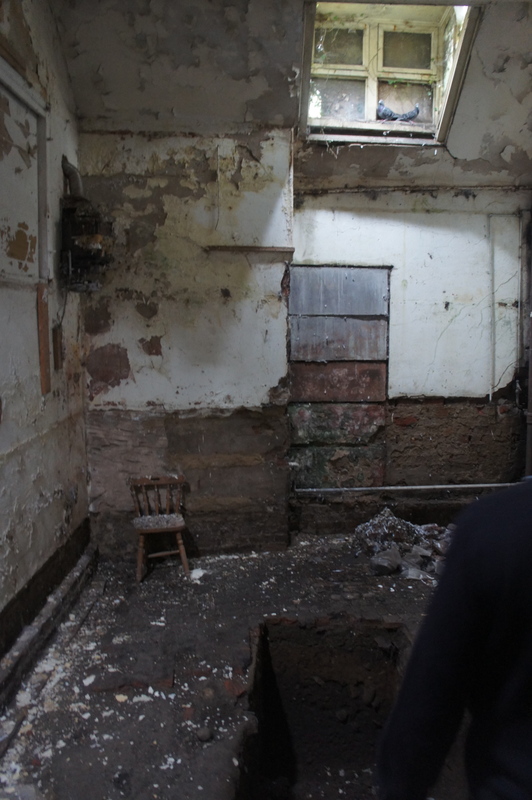 This proved that the hospital had a substantial and complex drainage system, taking sewage and run-off away from the infirmary. 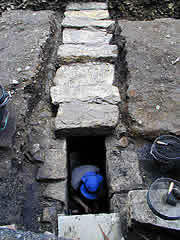 Investigating the interior of the medieval drain. The impressive interior of the drain. Substantial stone wall footings relating to the hospital allowed for new insights into the construction and development of the medieval buildings. An array of exciting finds were uncovered from the hospital, with masses of pottery, bone, glass, etc delighting the trainees. These gave an idea of the activities going on within the hospital complex and the lifestyles of the people living and working there. One particular highlight was a beautifully preserved medieval bronze seal ring. A medieval bronze seal ring, the type used to imprint a person’s seal into the wax on a document. Evidence was found of earlier structures being incorporated into the medieval hospital buildings. Week seven of the dig revealed the north-west wall of one of the Roman legionary fortress interval towers. Known as SW6 because it is the sixth tower along the south-west side of the fortress, the wall was left upstanding within the cobble foundations of a wall belonging to the medieval hospital, re-used in order to form part of the medieval foundations. Clearly the medieval builders were aware of the quality of Roman construction, making good use of the surviving wall. Roman interval tower footings surrounded by medieval cobble foundations. The site was open to visitors throughout the season, with thousands of people flocking to see the discoveries as they were made. Events were held to give local children a chance to lend a hand with finds processing and learn more about York’s past. As has become normal for Archaeology Live! trainees came from across the globe to get involved with the dig and the team ranged in age from children to pensioners! The 2001 excavations set a great standard for what training digs can achieve. At Archaeology Live! 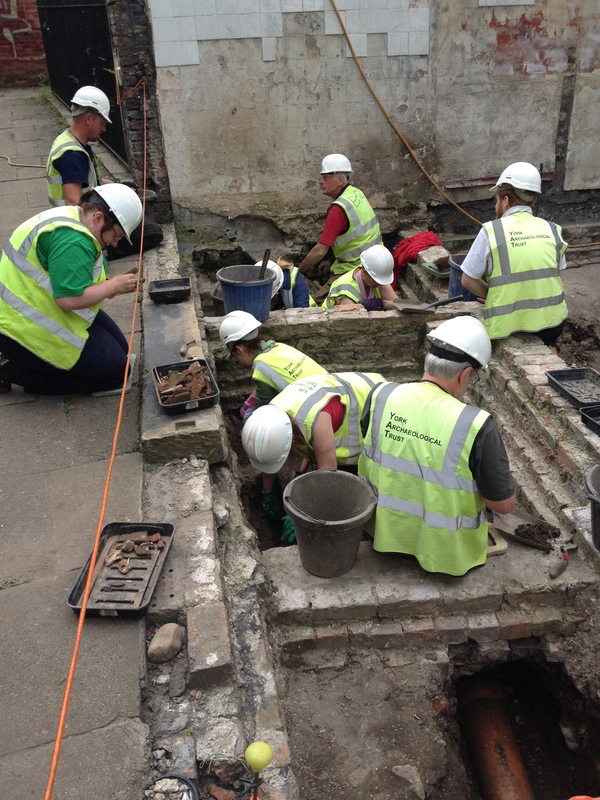 we believe that with the right training, no archaeology is too complex or difficult for members of the public to work on, with or without prior experience. The team of staff, placements and trainees made a great start to what would be a number of seasons at St. Leonards. We’ll be posting about the findings of those digs in the coming weeks. As we enter our fourteenth year of trainee funded archaeology in York, we look forward to many exciting discoveries to come! Archaeology Live! trainees at St. Leonards, 2001. PS. 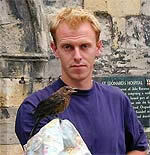 I’ve found no explanation for this picture of Toby and a bird, but it seemed vital to include it. 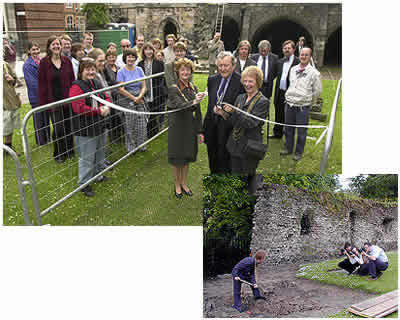 York Archaeological Trust for Excavation and Research Limited. Registered Office: 47 Aldwark, York YO1 7BX. A Company Limited by Guarantee. © Copyright York Archaeological Trust 2013-2016. All rights reserved.